It’s simple to get lost in the variety of design hotels in Milan because all of them look attractive and authentic. 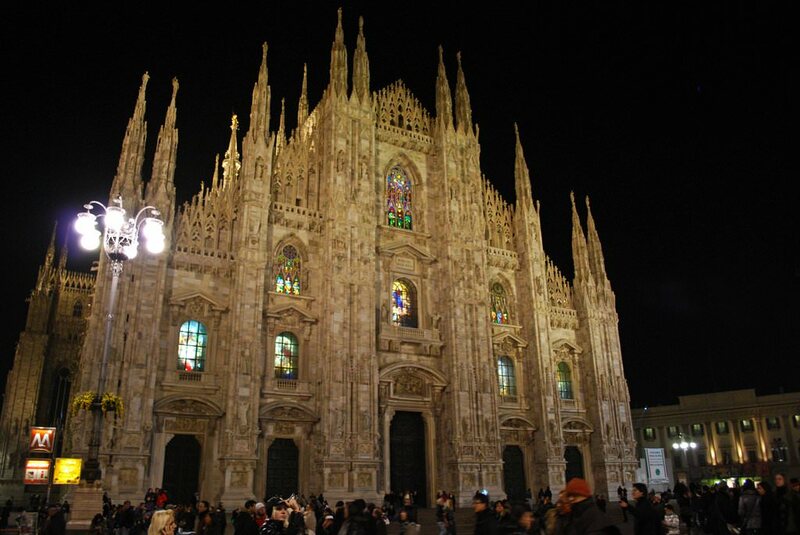 Boscolo Milano, Autograph Collection® is located close to Duomo di Milano. The design of this hotel is made in an inimitable futurist style. The décor of guest rooms is made with dominant black and white colors, and guest rooms are decorated with bright colored soft furniture of an unusual shape. Numerous built-in lamps and stylish glass elements are the distinguishing peculiarities of the hotel. The spa at Boscolo Milano looks totally amazing thanks to an artistic lighting system. The hall with the indoor swimming pool is lit by lamps with giant lampshades that resemble water drops. A popular upscale hotel in Milan, Château Monfort has won the admiration of numerous travelers because of its stylish and unforgettable design. The hotel is open in a beautiful historical building and has many elements of the original design. These elements were skillfully mixed with elegant modern accessories. Some pieces of furniture have been replaced with old chests, and in bathrooms, beautiful marble décor makes a harmonious combination with intricate glass partitions. In the hotel’s hall, guests will see old frescos and marble columns, and in rooms and public areas, there is elegant retro style furniture. There’s nothing strange in the fact that Nhow is exceptionally popular with connoisseurs of modern art as the design of this hotel is a paragon of modern style. The décor of spacious guest rooms is made in an elegant style with dominating white, red, and black colors. The decor of public areas, in its turn, is very colorful and looks completely unusual. Crisp white furniture of creative shapes, numerous lamps that hang from the ceiling and walls painted in different colors – talented designers managed to form a harmonious and truly peaceful décor. 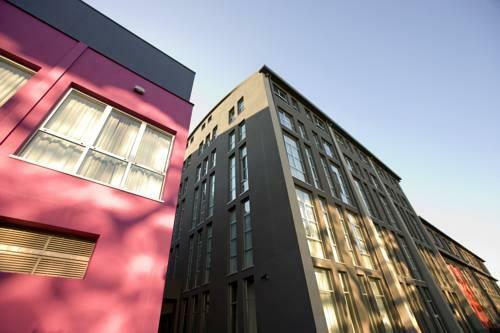 The inner yard of the hotel is made in an unusual industrial style. It is also important to mention that the hotel exhibits a large collection of paintings by modern artists. 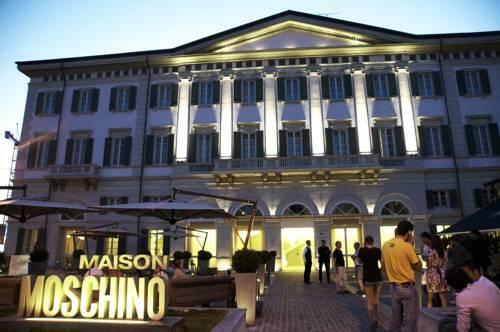 A stylish historical building has become home for the modern Maison Moschino . The design of this hotel was developed by the leading specialists from the Moschino company. Stylish guest rooms of the hotel are made in a surrealistic style. All furniture for the hotel was made by individual order. There is a posh futurist suite made in silver and blue shades, or travelers can choose to book magnificent romantic rooms that are mostly made in red and white. Premium textiles of different colors and textures have been actively used in the hotel’s design, and they help to create a unique atmosphere of Maison Moschino. Ordinary and usual elements of décor are miraculously combined to create models of dresses and elegant costumes. At Maison Moschino, the designer creativity has no limit. Thanks to the hard work of talented designers, Bulgari Hotels & Resorts Milano is a truly wonderful place. All guest rooms of the hotel are made in classic colors. They are spacious, with many rooms also having quite an unusual planning. Travelers have an opportunity to book a posh suite with panoramic windows and an open space bathroom. Some guest rooms have a spacious balcony with elegant wooden décor. In the inner yard of the designer hotel, there is a well-kept garden with lawn, blooming flowers, and charming relaxation areas. The design of the spa is no less beautiful – the spa is decorated with state-of-art illumination, a hand-made mosaic made of colorful glass and unusual designer accessories. This guide to most stylish hotels of Milan is protected by the copyright law. You can re-publish this content with mandatory attribution: direct and active hyperlink to www.orangesmile.com.